The color scheme is a very important aspect of a site’s design. Baton Pro comes with 4 high quality color schemes, so you’re bound to find one that matches your style! Change the color of every element of your website to a custom one of your liking. 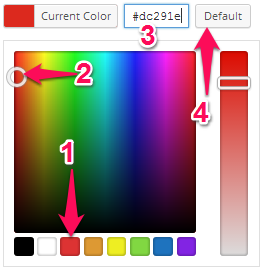 To change the scheme of your site, see Color Scheme. Note: Additional color customization is available in Pro themes. 2. In the preview sidebar on the left, select a section of the page such as Header, Secondary Header, Content, etc..
b. You may choose from eight pre-selected colors , use the color selector to choose a custom color of your liking , or enter a hexadecimal color code . You may also reset the color to its default by selecting the Default button . 4. When you have finished, click Save & Publish at the top of the preview sidebar. 3. Within those sections there will be a panel of settings that will let you customize the Font SIze, Line Height, and Font Family of the section you chose (shown below). You can customize those values any way you’d like. a. To change the font size insert a value in the Font Size textbox. b. To change the height of each line insert a value in the Line Height textbox. 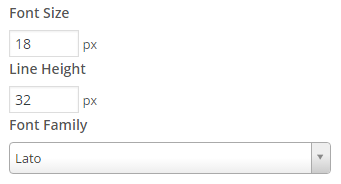 c. To change the font family choose a font in the Font Family dropdown menu. 4. 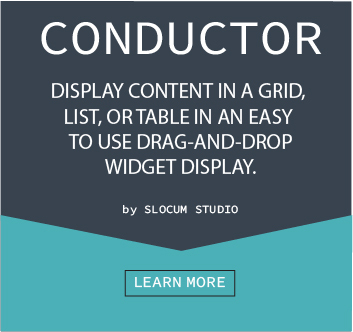 Click the Save & Publish button in the top right corner of the Customizer sidebar.